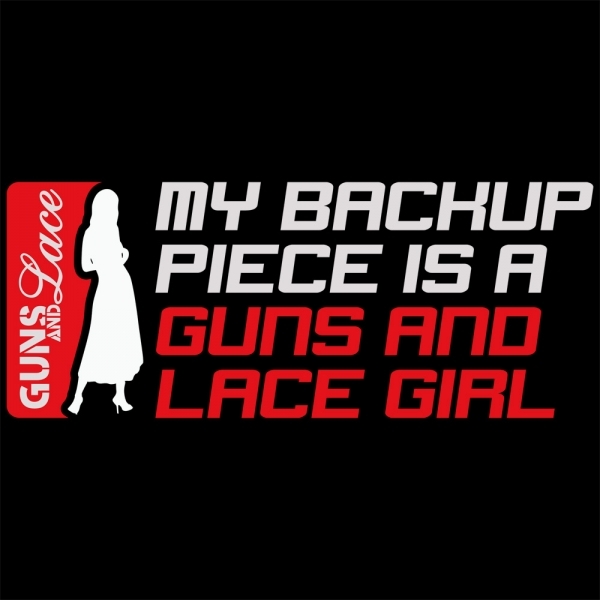 "My Back Up Piece is a Guns and Lace Girl." 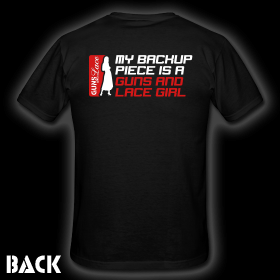 It's on with this T-shirt! Classic-cut standard weight t-shirt for men, 100% pre-shrunk cotton. Logo is on the back. Get 'em while they last boys! Order yours today!! Please pay special attention to the size chart, as this item runs small and it is recommended to order a size up. Please pay close attention to the sizing chart as shirts are custom made to order by a 3rd party vendor. So, all sales are final, no returns, exchanges or refunds.